is passionate about bringing contemporary music to new audiences in a way that is exciting, challenging, yet meaningful and accessible. She is interested in presenting music in new ways, and in new spaces, particularly interdisciplinary projects involving musicians, artists, film-makers and writers. Rebecca has composed soundtracks for animated films and theatre productions, and she has worked collaboratively with directors and poets in setting their images and words to music. Rebecca has received great acclaim for her orchestral, chamber and choral work, enjoying many commissions from artists as diverse as The Dunedin Consort, Cappella Nova, The Hilliard Ensemble, recorder virtuoso John Turner, contemporary music ensemble ONE VOICE, Northern College Aberdeen, singer Steven Griffin, and The Allegri String Quartet to name but a few. Rebecca’s musical training began in South Yorkshire, England, as a cellist and pianist, before moving to study at Hull University, and later Edinburgh University. 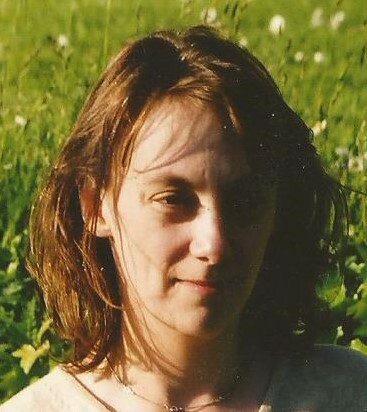 She holds a MMus from Edinburgh degree in Composition, having studied with Nigel Osborne. Rebecca is a founder member of The Squair Mile Consort of Viols, and is a former Artistic Director and conductor of Edinburgh University Contemporary Music Ensemble. Rebecca’s work has been broadcast on BBC Radio Scotland, BBC Radio 3 and The World Service. Short films which she scored have been broadcast on STV and bought by BBC TV. Rebecca received an award from The English Poetry and Song Society, for the 1994 work No Sad Songs, a setting of a Christina Rossetti poem. In 2005 Rebecca was invited to be a panel-member at StAnza, (St. Andrews’ Poetry Festival) where she took part in an illuminating debate on Words and Music Three Pieces for Soprano and Clarinet were performed as part of the poetry and music collaboration: Turning The Elements. Between 2010 and 2012, she worked on a series of multidisciplinary projects with film director Alastair Cook. Rebecca’s most recent large collaborative project (September 2015) was a commission for ‘Three Pieces for Soprano and Clarinet’, for Frances Cooper and Joanna Nicholson. For this project, new poetry was also commissioned from prominent Scottish poets Jane McKie and Stewart Sanderson, which formed the texts of the songs. This project, which also involved visual projections, was premiered at Aberdeen’s prestigious SOUND Festival as well as in Jedburgh for Scottish Book week and at the StAnza Poetry Festival in St. Andrews in March 2016. Rebecca has been passionately involved in Music Education, working both in Adult Education as a music tutor for ten years, and as a teacher specialising in Primary Music Education since 1996. She has a wealth of experience as a conductor of young choirs, and is currently undertaking research on musical creativity and critical thinking in young children.